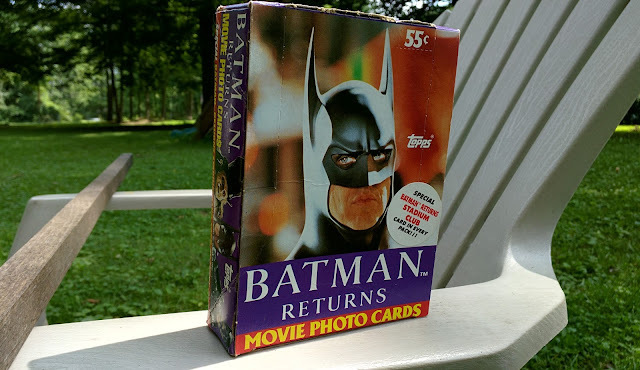 Giveaway: Unopened box of BATMAN RETURNS trading cards! Hey, it's giveaway time! Up for grabs is an unopened box of BATMAN RETURNS trading cards! Entry is easy, just repost the image below via Instagram with the hashtag #MORBIDMUCHGIVEAWAY and tag my account (@nickmeece) and then come back to this page and post in the comments below what your favorite moment from BATMAN RETURNS is/was. A winner will be chosen on August 15. Giveaway time! Just repost this image with the hashtag #MORBIDMUCHGIVEAWAY and tag me, @nickmeece. Then tell me your favorite moment from #BatmanReturns in the comments on MorbidMuch.com on the giveaway post. That's it! Good luck! So what's your favorite moment from BATMAN RETURNS?